WEST LAFAYETTE, Ind. - Just one cellular pathway produces the raw ingredients plants use to make thousands of compounds, from molecules with anticancer properties to the active ingredient in catnip, according to a team of researchers at Purdue University and the Max Planck Institute for Chemical Ecology. This finding challenges long-held assumptions about how plants produce these commercially important products. The research also could have important implications for researchers trying to harness plant pathways to produce essential oils, often used as flavor additives in food and medicine or as fragrance in body-care products, said Natalia Dudareva, professor of horticulture and lead researcher of the study. "Our research has applications in the future metabolic engineering of essential oil production," Dudareva said. "The yield of these compounds depends on the amount of materials available in the cell, and knowing where these compounds come from and which pathway produces them is the place to start." 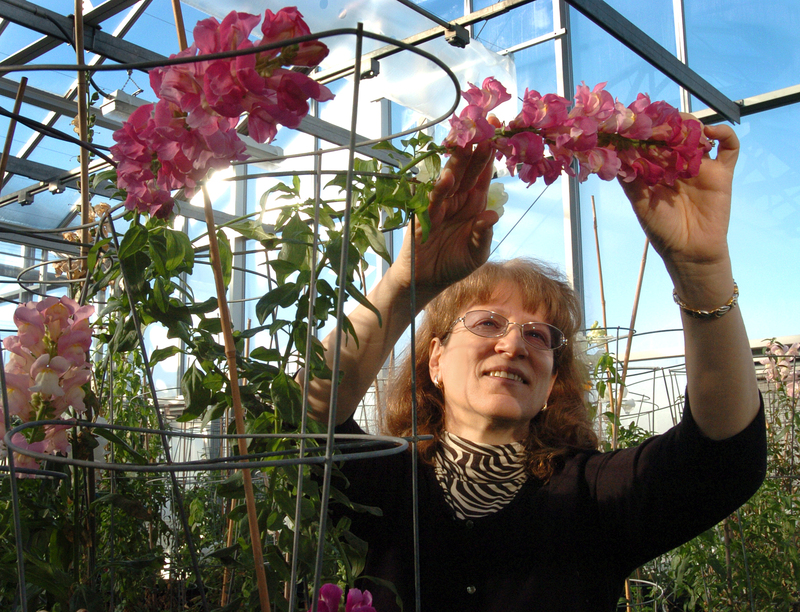 Dudareva and her colleagues report in the current issue (Tuesday, Jan. 18) of Proceedings of the National Academy of Science that the molecular precursors to a group of compounds called terpenoids - the largest and most diverse family of natural products - come from a single plant pathway, located inside the same part of a cell where photosynthesis occurs. Terpenoids are made from compounds called precursor molecules, which are a kind of molecular raw material. Just as a potter can transform five identical spheres of clay into five unique pieces of art, identical precursor molecules can transform into unique compounds by following different molecular pathways. Scientists previously discovered that two independent pathways, located in different compartments within a plant cell, use these precursor molecules to produce terpenoids. Most scientists assumed that both pathways were capable of producing these precursor molecules as well. The discovery that only one pathway produces these precursors is a significant breakthrough, Dudareva said. "We never expected to find this," she said. "This is the first time anyone has realized that only one of the two available pathways operates to make the precursor." She also found that while some of the precursor molecules remain in the compartment where they are made, some travel through the cell to another compartment, where they enter a second pathway in terpenoid production. The process can be likened to a manufacturing plant with an assembly line that makes a car part, such as a steering wheel. Some of those steering wheels remain on-site to be added to cars manufactured at that plant. Additional steering wheels are transported to another plant that, instead of making its own steering wheels, uses those from the first plant to produce its product. Just as delivering steering wheels from one manufacturing facility to another requires some kind of transportation, molecules also rely on vehicles to travel around the interior of a cell. Exactly how the precursor molecules in this system travel from one compartment to another, however, remains a mystery. "This work hints at the existence of a transporter to carry precursor molecules across the cell," said David Rhodes, Purdue professor of horticulture and a collaborator on the paper. "We already know that plants have a huge number of compartments that exchange materials. Now we need to figure out how these compartments facilitate this one-way flow of precursor molecule." 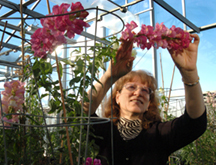 Dudareva used snapdragon flowers in this research, a model plant system she also uses in her studies of floral scent regulation. While limited to this one species, she suggests similar results might be found in other plants. "Others have previously shown indirectly that the same pathway that's not functioning in snapdragons is also blocked in basil plants and in mint," she said. "This opens the question of how widespread is this phenomenon?" The finding also raises intriguing questions in plant evolution. "We still don't understand why plants have duplicate pathways in different parts of the cell," Rhodes said. "And if one of these pathways is not operating, why haven't plants lost it over the course of evolution?" Dudareva's collaborators also include Irina Orlova at Purdue University, as well as Susanna Andersson, Nathalie Gatto, Michael Reichelt, Wilhelm Boland and Jonathan Gershenzon at the Max Planck Institute for Chemical Ecology in Jena, Germany. Funding was provided by The National Science Foundation, Fred Gloeckner Foundation, German Academic Exchange Service and Max Planck Society. A publication-quality photo is available at ftp://ftp.purdue.edu/pub/uns/ dudareva.pathway.jpeg. Terpenoids, the largest class of plant secondary metabolites, play essential roles in both plant and human life. In higher plants, the five-carbon building blocks of all terpenoids, isopentenyl diphosphate (IPP) and dimethylallyl diphosphate, are derived from two independent pathways localized in different cellular compartments. The methylerythritol phosphate (MEP or nonmevalonate) pathway, localized in the plastids, is thought to provide IPP and dimethylallyl diphosphate for hemiterpene, monoterpene, and diterpene biosynthesis, whereas the cytosol-localized mevalonate pathway provides C5 units for sesquiterpene biosynthesis. Stable isotope-labeled, pathway-specific precursors (1-deoxy-[5,5-2H2]-D-xylulose and [2,2-2H2]-mevalolactone) were supplied to cut snapdragon flowers, which emit both monoterpenes and the sesquiterpene, nerolidol. We show that only one of the two pathways, the plastid-localized MEP pathway, is active in the formation of volatile terpenes. The MEP pathway provides IPP precursors for both plastidial monoterpene and cytosolic sesquiterpene biosynthesis in the epidermis of snapdragon petals. The trafficking of IPP occurs unidirectionally from the plastids to cytosol. The MEP pathway operates in a rhythmic manner controlled by the circadian clock, which determines the rhythmicity of terpenoid emission.